Chef Gordon Ramsay visit's Runaway Girl, Sheffield, UK, a tapas restaurant, bar and nightclub run by best friends Justin Rowntree on front of house and Richie in the kitchen. The restaurant is dark and gloomy and the music is played loud. Gordon orders a selection of tapas but the paella rice is mush, the rabbit is dry, the fish stew tastes frozen and the calamari is rubbery and the duck tastes reheated and looks like cat food. Gordon witnesses a service and the music is so loud and the customers aren't impressed with the food or the ambience. He finds the whole concept confusing but is resistant to change. Head Chef Richie is fed up and wants to cook with fresh food. Gordon revamps the restaurant, renaming it to Silversmiths as the building is a former Silversmiths and revamps the menu, serving fresh, local produce with loud music restricted to the late night crowd. Gordon revisited and found an expensive set menu, they launched an assault on the pub chains offering a Venison pie on Pie Night. Since Gordon left, the restaurant has been a success, picking up a number of Local Awards and Trip Advisor reviews are mostly positive. According to online blogs, Richie, possibly the most likeable Head Chef to be featured on Kitchen Nightmares ever, is no longer working at Silversmiths. He now works at Remo's in Sheffield. Justin sold the restaurant in April 2017. Planning a visit to the restaurant? Check out their website for opening hours and further information. Runaway Girl aired on January 30 2009, the episode was filmed in August 2008 and is Ramsay's Kitchen Nightmares UK Great British Nightmare episode 2. What happened to Richie? where is he now? I know. I want to know where he works and eat his food and ask him out for a drink. Loved his personality. Top guy, loyal, a rare characteristic these days! I'd hire him any day regardless of his skill level. The kid has will and commitment and most of all loyalty. Priceless qualities! 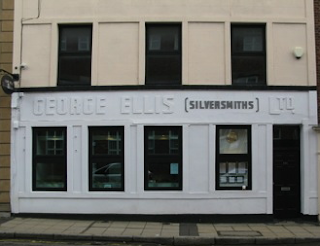 Go to the FB page for silversmiths and ask them. I would ask myself but I'm too chicken. I got curious because I liked Richie too. Apparently, "he'd been made redundant from his position as chef at Silversmiths, in favour of a cheaper replacement, not a chef I understand but a cook (and there is a HUGE difference.)" last time i checked he was working as head chef at popolo's in sheffield and doing a great job. I had the pleasure of working with ritchie for a few years at runaway girl and over the course of the show and he is truly a great guy. Justin came off really badly in the show but to be fare a bad word shouldn't be said about him. He was a great guy to work for and extremely passionate. I can sympathize with the owner on so many levels. Im a partner at an executive search firm and went into a business i knew nothing about an lost my shirt. Rules of thumb: take all ego out. business is about numbers not emotion. get experienced professionals to advise whenever possible - they pay for themselves - DIY is an amateur's attitude. Also interesting how Gordon lambasts Justin for using 'pretentious' comment cards, yet every season of 'Hell's Kitchen' in the USA features - you guessed it - comment cards! And although I am no fan of the programme anymore, because I can't bear the undeserved conceit of Gregg Wallace, I read comments somewhere about how Ramsay regards 'Masterchef' as overly-dramatic or something or other, but he's quite happy to judge the US version of 'Masterchef', no doubt for a fee, and that is so over-the-top and melodramatic, it's truly cringeworthy! Ramsay's double standards at play again. Oh, and one last thing. It has me in stitches how Ramsay can tell people to 'have some effing respect' when he shows so little to so many other people. Wasn't he in trouble recently for his bigoted comments about an Australian TV anchor or something? Justin is a great guy, he understands now where he was going wrong. He came into our school yesterday to be interviewed by us as part of a business studies course and he was very clear and forward thinking. I really enjoyed meeting him. Say what you will about Gordan Ramsey. But he really turned that place around!!! And Justin should be extremely grateful!! !